We serve breakfast all day long. Some of our customer favorites: our skillet breakfasts, pancake and French toast platters, homemade biscuits and gravy...the list goes on. For lunch and dinner some of our specialties are our delicious fish, special recipe fried chicken, amazingly tender liver and onions plus a nice variety of salads. Quite a selection of sandwiches and side orders too. We have daily specials and Curt makes some of the best soups you will find. Kathie loves to bake cakes - everything from homemade carrot cake to German chocolate upside down cake and seasonal specialty cakes. PLUS we have a great variety of fruit and meringue pies. Top off any of our desserts with ice cream, or have a shake, malt or Sundae. We have seen a number of changes happening in these 33 years. All three of our children have worked in the business, our youngest, Kjia, is still working with us. Our boys: Corey is an Engineer and married to Shannon and they are the reason we get to be grandparents. Zach, our eldest, is in the Navy as Lt, FA-18 pilot. He is engaged to Monica also a Naval Lt.
We are proud to support Franklin County Honor Flight and our military heroes, both present and past, from right here at home and across the nation. Crawford Electric is a not-for-profit member-owned electric cooperative that provides energy services to residential, agricultural and commercial accounts in parts of six east-central Missouri counties. Crawford Electric serves more than 30,000 Missourians through almost 20,000 meters. The co-op’s physical plant consists of more than 3,300 miles of distribution line located within Crawford, Franklin, Washington, Gasconade, Jefferson and Dent counties. The system also includes the city of Bourbon. Crawford is the 15th largest of Missouri's 40 distribution cooperatives in terms of numbers of meters served as well as miles of line energized. 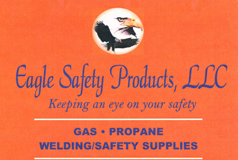 Eagle Safety Products has an extensive line of welding and safety supplies. We distribute welding gas and items such as wire, tools, helmets, clothing – almost anything pertaining to welding. We also sell Oxygen, Acetylene, Argon, Co2, Helium, medical gases and propane for barbeque tanks, forklifts and the home. Some of the extensive supplies we carry to keep you safe include gloves, glasses, respirators, earplugs, hard hats, and fall protection equipment. 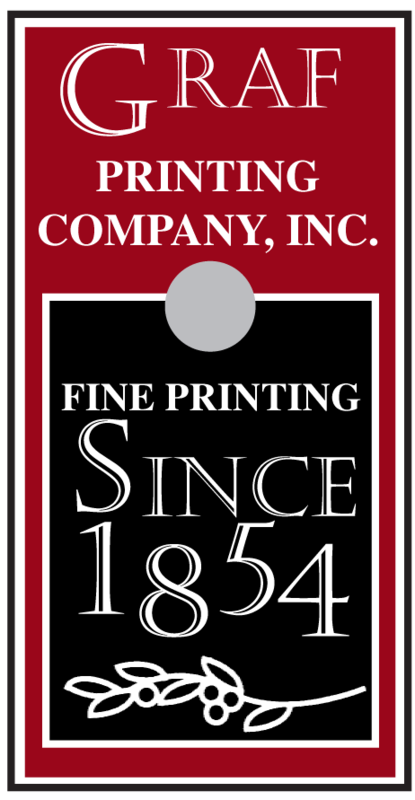 Graf Printing Company has a rich history both in printing, publishing and community involvement. The company is the oldest continuous business in Hermann and is located in the Industrial Park in Hermann. The 10,000 square foot building has ample room for the growth of the company. 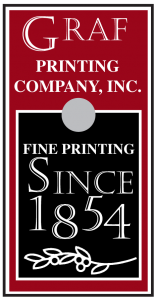 It was founded by Jacob Graf in 1854 and continued as a family business for the next 127 years. In 1981 the business was purchased by Jim Anderson who serves as company president. We pride ourselves in a reputation for fast reliable service without the high cost. The same type of service that’s been around for the past 159 years. J&W Cycles has been a family owned and operated business for over 35 years. Brothers Bob and Jim Jones saw a growing need for quality recreation and power sports repairs, service and sales in the Franklin County and surrounding areas. We take great pride in our products and service. It's our goal to make your experience with us easy and enjoyable. We stand behind everything we do, and we do our best to make sure we only sell products and services that meet your needs. Our staff is experienced and knowledgeable, and understand the sports we all love. Whether you're an experienced rider or a novice, stop in and visit. We’re sure we have what you need to stay on the trail at a price you can afford. Mid-American Coaches and Tours is a veteran in transporting people since 1927. Back when we were known as "Washington, Union, & St. Louis Bus Company," we transported many WWII and Korean Veterans and later Viet Nam Veterans as they left Franklin County aboard one of our buses to begin their military service. After serving their country many stepped off one of our buses and back into civilian life. We continue to serve our Veterans and their families along with many others in offering tour and charter bus service. Honor Flights usually begin and end at our Washington garage with us moving them to and from Lambert Airport. Contributing to Honor Flights is a small way for us to honor our Veterans as we help move them on their journey. But we find it is we who are honored; it is we who are moved. God bless each who have so bravely served our country. N-Sports Rec Center is a State-Of-The- Art Sports Facility for all types of indoor sports and recreation! We have 86,000 square feet under one roof with 2-turf fields for soccer, football, softball, Frisbee, etc. and a wood court for volleyball, basketball, futsal and much more……. In addition to the Sports and Activities we offer all types of Rentals for Parties: Corporate, Church, Birthday, Field trips, MMA Cage Fights, Archery 3-D Shoots. We are developing programs for Senior Citizens, and for tots, as well as after school opportunities. We invite you to come by our Facility and take a tour and start planning some fun activities and recreational fun! The Pvt. 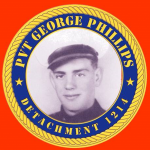 George Phillips Detachment #1214 is a chartered subsidiary organization of the Marine Corps League. We are a Chartered non-profit fraternal organization dedicated to preserving the traditions and promoting the interest of the United States Marine Corps. Our Detachment is named for a Marine who gave his life to save the lives of several other Marines on the island of Iwo Jima during WWII. For his valor, was awarded the Medal of Honor. 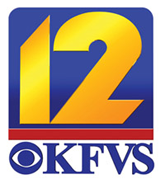 Since 1954, KFVS12 has been an important part of Southeast Missouri, serving communities with valuable public service through disaster relief efforts, as well as news coverage and support of important outreach campaigns like the Honor Flight program. We’re proud of our local veterans and we cherish the freedoms they fought for. We salute the efforts of the Franklin County Honor Flight initiative and wish them continued success in providing this invaluable service to those deserving veterans. These guys love to sing harmony! The Rivertown Sound Quartet is inspired by the great variety of music from their hometown, St. Louis, Missouri. As faithful members of the Barbershop Harmony Society (formerly called SPEBSQSA), they are dedicated to preserving good singing and four part harmony. However, while they continue to sing traditional songs from the "turn of the century", more and more audiences have asked them to perform songs from the 1950 's. As a result, they have become St. Louis' premiere "Doo Wop Quartet" and are honored to hold that position. They usually sing without a band - just four voices making the music. When they do sing with a band, it's the great Mid South Revival Band of the amazing Elvis impersonator, Steve Davis. Septic Services, Inc. has been installing septic and aeration systems since 1982 offering a complete line of commercial & residential septic system services including septic tank pumping and service work as well as portable toilet rental and aerator sales & service. A family-owned business, our reputation is unsurpassed for service and knowledge in the septic field. 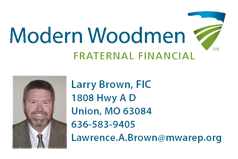 Dave Hall has been a State Farm agent for over 35 years and can handle all your insurance needs. He and his wife of over 37 years have two children and two grandchildren. His son is a Lake St Louis policeman and his daughter is married to a US Army Captain with the 101st Airborne,” Rakkissan”. Dave is a veteran of the United States Air Force and understands the needs of veterans as well as others. Dave is a co-founder of Franklin County Honor Flight and appreciates all who have served our country. Leroy A. Strubberg & Associates Inc.
Leroy A. Strubberg Associates Inc. I am an expereienced photographer who does both advertising and editorial work and a member of the White House News Photographers. I publish three books, two of which I discount to Honor Flights. 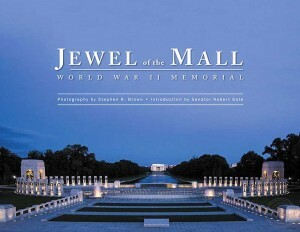 They are WWII MEMORIAL Jewel of the Mall and DC PHOTO BOOK: An Insiders View. Stylemaster Promotional Products, is a full service promotional products and corporate apparel company based in Union, MO. We are a family owned business, founded in 1982. We offer a wide range of logoed items, all business sold to business. Most of our customers utilize our products for giveaways as marketing tools (writing instruments, mugs/tumblers, key chains, pens), or decorated apparel (caps, jackets, shirts) for promoting their business or worn by their own employees. We have an on staff graphic artist who can help with any logo development or manipulation. We offer fulfilment services, web stores, as well as any marketing and creative support you may need. United Bank of Union, located in Union, MO, is a community bank that provides a full range of banking and other financial services primarily to the Franklin County area. Traditional banking services and products are offered for personal and business needs, along with an assortment of real estate, commercial and personal loans. United Bank holds the distinction of having been named the first certified lender in the State of Missouri for the USDA Business & Industrial Loan Program. 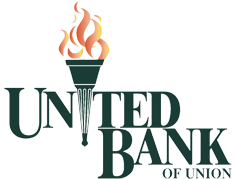 United Bank was originally chartered in 1934, when Citizen’s Bank of Union became a part of the new banking corporation to be known as United Bank of Union. With assets exceeding $240 million, United Bank of Union now offers three banking facilities for customer convenience, along with 8 ATMs located throughout Union and the surrounding areas. United Bank takes pride in supporting the local community and supporting the Franklin County Honor Flight and their commitment to excellence is one of our proudest achievements. Calls us today at (636)583-2555 and ask about what we can offer you, or visit us at any one of our 3 convenient locations to serve you. 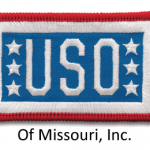 THE USO OF MISSOURI, INC. is a private, non-profit organization, whose mission is to lift the spirits of America's troops and their families by providing a "touch of home" through our facilities, a shoulder when needed and fun family events. We receive no government, military, DoD or United Way funding and are financially independent from the National USO. As the nation's largest drugstore chain with fiscal 2012 sales of $72 billion, Walgreens (www.walgreens.com) vision is to become America’s first choice for health and daily living. Each day, Walgreens provides more than 6 million customers the most convenient, multichannel access to consumer goods and services and trusted, cost-effective pharmacy, health and wellness services and advice in communities across America. Walgreens scope of pharmacy services includes retail, specialty, infusion, medical facility and mail service, along with respiratory services. These services improve health outcomes and lower costs for payers including employers, managed care organizations, health systems, pharmacy benefit managers and the public sector. The company operates 8,098 drugstores in all 50 states, the District of Columbia and Puerto Rico. Take Care Health Systems is a Walgreens subsidiary that is the largest and most comprehensive manager of worksite health and wellness centers and in-store convenient care clinics, with more than 700 locations throughout the country.